The general strike lasted from April to October 1936, initiating the violent revolt. 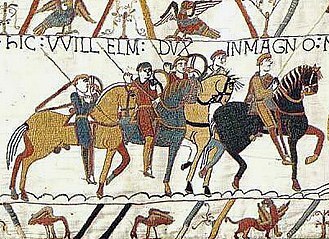 The revolt consisted of two distinct phases. The first phase was directed primarily by the urban and elitist Higher Arab Committee (HAC) and was focused mainly on strikes and other forms of political protest. By October 1936, this phase had been defeated by the British civil administration using a combination of political concessions, international diplomacy (involving the rulers of Iraq, Saudi Arabia, Transjordan and Yemen) and the threat of martial law. 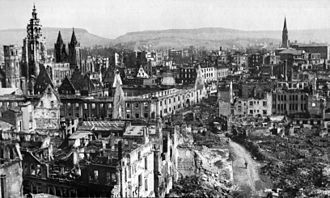 The second phase, which began late in 1937, was a violent and peasant-led resistance movement provoked by British repression in 1936 that increasingly targeted British forces. During this phase, the rebellion was brutally suppressed by the British Army and the Palestine Police Force using repressive measures that were intended to intimidate the Arab population and undermine popular support for the revolt. During this phase, a more dominant role on the Arab side was taken by the Nashashibi clan, whose NDP party quickly withdrew from the rebel Arab Higher Committee, led by the radical faction of Amin al-Husseini, and instead sided with the British – dispatching "Fasail al-Salam" (the "Peace Bands") in coordination with the British Army against nationalist and Jihadist Arab "Fasail" units (literally "bands"). 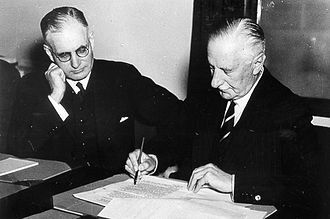 3.8 Role of the "Peace bands"
Lord Peel arrives in Mandatory Palestine on 11 November 1936. Privately, Peel believed that most Jews would remain in the Diaspora. In 1931, a Revisionist underground splinter group broke off from Haganah, calling itself the Irgun organisation (or Etzel). The organisation took its orders from Revisionist leader Ze'ev Jabotinsky who was at odds with the dominant Labour Zionist movement led by David Ben-Gurion. The rift between the two Zionist movements further deteriorated in 1933 when two Revisionists were blamed for the murder of Haim Arlosoroff, who had negotiated the Haavara Agreement between the Jewish Agency and Nazi Germany. 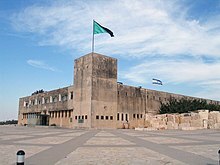 The agreement brought 52,000 German Jews to Palestine between 1933 and 1939, and generated $30,000,000 for the then almost bankrupt Jewish Agency, but in addition to the difficulties with the Revisionists, who advocated a boycott of Germany, it caused the Yishuv to be isolated from the rest of world Jewry. Al-Hajj Muhammad refused to carry out political assassinations at the behest of political factions, including al-Husayni, once stating "I don't work for Husayniya ('Husanyni-ism'), but for wataniya ('nationalism')." He is still known by Palestinians as a hero and martyr and is regarded as a metonym "for a national movement that was popular, honourable, religious, and lofty in its aims and actions." He was shot dead in a firefight with British forces outside the village of Sanur on 27 March 1939, after Farid Irsheid's peace band informed the authorities of his location. ^ a b c d e f g h i j k l m n o p q r s t u v w x y z aa ab ac ad ae af ag Hughes, M. (2009) The Banality of Brutality: British Armed Forces and the Repression of the Arab Revolt in Palestine, 1936–39, English Historical Review Vol. CXXIV No. 507, pp. 314–354. ^ Black, 2006, p. 128. ^ Swedenberg, 2003, p. 220. ^ Kimmerling & Migdal, 2003, p. 103. ^ a b Millman, 1998, p. 22. ^ Bowyer Bell, 1996, p. 44. ^ Morris, 1999, p. 145. ^ a b c d e f Levenberg, 1993, pp. 74–76. ^ a b Morris, 1999, pp. 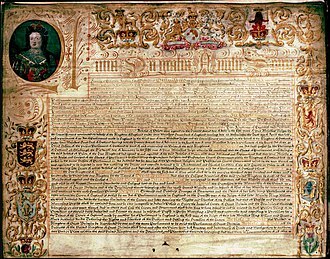 159–160. ^ Kelly 2017, p. 2. ^ a b c Morris, 1999, p. 136. ^ a b c d e Norris, 2008, pp. 25, 45. ^ Kelly 2017, p. 5. ^ Khalidi, 2002, pp. 21, 35. ^ Patai, 1971, p. 59. ^ a b c d e f g h i Morris, 1999, p. 160. ^ a b Morris, 1999, p. 159. ^ Gilbert 1998, p. 80. ^ Matthews, 2006, p. 237. ^ Krämer, 2008, p. 263. ^ Krämer, 2008, pp. 262–263. ^ Krämer, 2008, pp. 239–240. ^ 'Nablus Bandits Seen as Izz ed Din's followers', Palestine Post, Friday, 17 April 1936. ^ 'Yesterday in Palestine', Palestine Post, Thursday, 30 April 1936. ^ Highwaymen's Second Victim Dead', Palestine Post, Tuesday, 21 April 1936. ^ a b Gilbert, 1998, p. 80. ^ Bar-On, 2004, p. 23. ^ 'Little Change in Situation', Palestine Post, Thursday, 23 April 1936. ^ a b c d e f g h i j k l m n Yazbak, M. (2000). From Poverty to Revolt: Economic Factors in the Outbreak of the 1936 Rebellion in Palestine. Middle Eastern Studies, 36(3), pp. 93–113. ^ Krämer, 2008, p. 273. ^ a b c Krämer, 2008, p. 239. ^ a b c Krämer, 2008, p. 254. ^ Ellen Fleischmann (March 1995). "Jerusalem Women's Organizations During the British Mandate, 1920s–1930s". PASSIA. Archived from the original on 4 June 2011. ^ Khalidi, 2001, p. 25. ^ a b c Krämer, 2008, pp. 256–259. ^ Krämer, 2008, pp. 2656–266. ^ Krämer, 2008, p. 264. ^ Commins, 2004, p. 113. ^ Thomas, 2007, p. 295. ^ "Anglo-Egyptian Treaty of 1936". Foreign and Commonwealth Office. Archived from the original (PDF) on 24 September 2012. Retrieved 29 May 2010. ^ Morewood, 2004, pp. 86–96. ^ Tripp, 2002, pp. 71–75. ^ Morris, 1999, p. 129. ^ Horne, 2003, p. 208. ^ a b c d Peel Commission Report Cmd. 5479, 1937, p. 96. ^ Krämer, 2008, p. 272. ^ Peel Commission Report Cmd. 5479, 1937, p. 97. 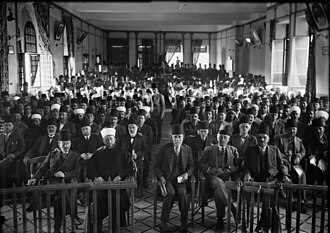 ^ 'The Funeral, Palestine Post, Tuesday, 21 April 1936. ^ 'Funeral of Nine Jewish Dead', Palestine Post, Tuesday, 21 April 1936. ^ Kayyālī, 1978, p. 193. ^ Peel Commission Report Cmd. 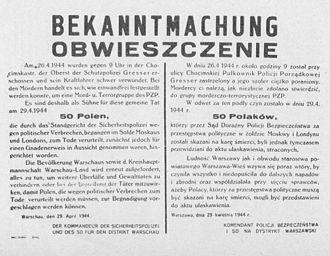 5479, 1937, p. 100. ^ C. Townshend, The defence of Palestine: insurrection and public security, 1936–1939. The English Historical Review, Vol. 103 (1988) 917–949. ^ a b c d Peel Commission Report Cmd. 5479, 1937, pp. 100–102. ^ Krämer, 2008, p. 274. ^ a b c Krämer, 2008, p. 291. ^ a b c d Kayyālī, 1978, p. 196. ^ a b c Segev, 2000, p. 423. ^ a b Horne, 2003, p. 213. ^ "Troops Amhushed On Road, Heaviest Engagement Of Palestine Revolt Follows (p. 9)". Baltimore Sun. 22 June 1936. ^ Kayyālī, 1978, p. 197. ^ a b Krämer, 2008, p. 278. ^ Horne, 2003, pp. 210, 218. ^ Peel Commission Report Cmd. 5479, 1937, pp. 99, 104–105. ^ Segev, 2000, p. 401. ^ a b c Morris, 1999, pp. 138–144. ^ William Roger Louis (2006). Ends of British Imperialism: The Scramble for Empire, Suez, and Decolonization. I.B.Tauris. p. 391. ISBN 978-1-84511-347-6. Retrieved 25 July 2013. ^ Benny Morris (2004). The Birth of the Palestinian Refugee Problem Revisited. Cambridge University Press. pp. 11, 48, 49, . ISBN 978-0-521-00967-6. Retrieved 25 July 2013. p. 11 "while the Zionist movement, after much agonising, accepted the principle of partition and the proposals as a basis for negotiation"; p. 49 "In the end, after bitter debate, the Congress equivocally approved –by a vote of 299 to 160 – the Peel recommendations as a basis for further negotiation. ^ Mark A. Raider; Jonathan D. Sarna; Ronald W. Zweig (12 October 2012). Abba Hillel Silver and American Zionism. Routledge. pp. 100–. ISBN 978-1-136-31495-7. 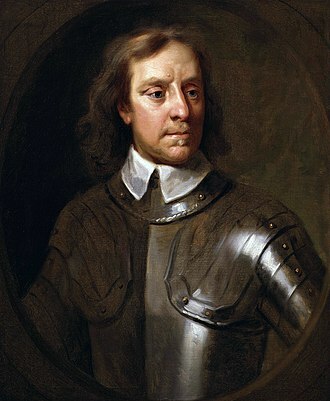 "to negotiate a modified (Peel) proposal with the British. ^ Bernard Wasserstein (1 May 2012). On the Eve: The Jews of Europe Before the Second World War. Simon and Schuster. p. 339. ISBN 978-1-4165-9427-7. 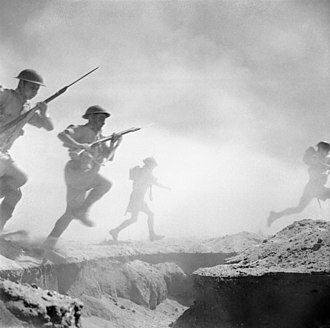 The British government initially accepted the report in principle...With war clouds looming over Europe, they began to have second thoughts about the practicality of partition, fearing that to attempt to implement it against the will of the Palestinian Arab majority would rouse up the entire Arab world against Britain. ^ a b "Woodhead commission report". ^ a b Cohen, 2009, p. 125. ^ a b Horne, 2003, p. 22. ^ Ben-Yehuda, Hahman (1993). Political Assassinations by Jews. State University of New York Press. pp. 155–157. ISBN 978-0-7914-1166-7. ^ Golan, Zev (2003). Free Jerusalem. Devora Publications. p. 151. ISBN 978-1-930143-54-8. ^ Horne, 2003, p. 239. ^ a b Segev, 2000, p. 417. ^ Cabinet Papers, 30 July 1946, CAB 128/6. ^ See also WO 32/9618 Emergency Regulations 1936. Palestine Martial Law (Defence) Order in Council 1936. ^ Segev, 2000, p. 399. ^ a b c Palestine, 1938 Allegations Against British Troops, CAB 24/282, p. 4. ^ a b c Segev, 2000, p. 42. ^ Segev, 2000, p. 425. ^ a b Horne, 2003, pp. 235–236. ^ Thomas, 2008, p. 254. ^ Benjamin-Grob-Fitzgibbon,'Britain's small wars: the challenge to Empire,' in Randall D. Law, The Routledge History of Terrorism, Routledge, 2015, pp. 177–189, 181. ^ Bruce Hoffman, Anonymous Soldiers: The Struggle for Israel, 1917–1947, Knopf, 2015, p. 73. ^ "File And Item Level Description of the Sir Charles Tegart Collection" (PDF). Retrieved 31 May 2010. ^ a b c d e Segev, 2000, p. 428. ^ a b Morris, 1999, p. 150. ^ Segev, 2000, p. 416. ^ a b c d e f Omissi, 1990, pp. 74–76. ^ Rotter, 2008, p. 51. ^ Gilmour, Ian and Andrew. "Terrorism Review." Journal of Palestine Studies, Volume 17, Issue 2, 1988, p. 131. ^ Omissi, 1990, p. 158. ^ Ben-Ami, 2005, p. 11. ^ Harris, 1998, p. 30. ^ a b Thomas, 2008, p. 246. ^ Black and Morris, 1991, p. 16. ^ Harouvi, 1999, p. 33. ^ a b c d e f g h i j k l m n o p Stewart, 2002, pp. 7–10. ^ a b c d Krämer, 2008, p. 293. ^ Ferrier and Bamberg, 1994, p. 165. ^ a b c d e f g h i Thomas, 2008, pp. 244–246. ^ a b c d Harouvi, 1999, pp. 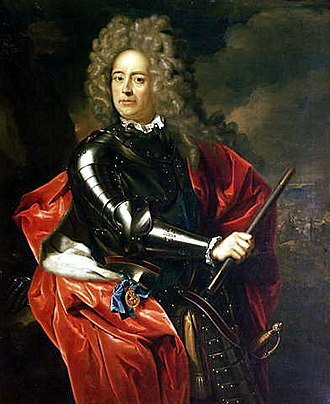 32–34. ^ Frilling, 2005, p. 279. ^ Adelman, 2008, p. 154. ^ Frilling, 2005, p. 28. ^ Kaniuk, 2001, p. 101. ^ Laffin, 1979, p. 80. ^ Kimmerling, 1989, p. 38. ^ Swedenburg, 2003, p. 220. ^ Morris, 1999, p. 132. ^ Cleveland, 2000, p. 255. ^ Sacharov, 2004, p. 23. ^ Adelman, 2008, p. 156. ^ Krämer, 2008, p. 292. ^ a b c d Segev, 2000, p. 427. ^ Segev, 2000, p. 426. ^ a b Morris, 1999, p. 149. ^ a b c d Johnson, 2010, p. 807. ^ "THE ESTABLISHMENT OF THE IRGUN". www.etzel.org.il. ^ a b Krämer, 2008, p. 242. ^ Bajohr, 2002, p. 122. ^ Segev, 1991, pp. 22, 29. ^ Nicosia, 2008, p. 99. ^ Ben-Ami, 2005, p. 14. ^ Segev, 2000, pp. 386–387. ^ a b c d e f Morris, 1999, p. 147. ^ Morris, 1999, p. 133. ^ Arielli, 2010, pp. 109–132. ^ Sara Alpern (1987). Freda Kirchwey, a Woman of the Nation. Harvard University Press. pp. 199–. ISBN 978-0-674-31828-1. ^ a b Gettleman and Schaar, 2003, p. 181. ^ Morris, 1999, p. 153. ^ a b c d e f Morris, 1999, pp. 153–154. ^ a b Hillel Cohen (2008). Army of Shadows: Palestinian Collaboration with Zionism, 1917–1948. University of California Press. pp. 146–. ISBN 978-0-520-25221-9. it was the first manifestation of the Nashashibi group's armed defense against those who had violated the honor of their family and the honor of ... But when the general strike ended, he once again began coordinating his moves with the Zionists.3 The opposition's principal motivation for security cooperation was the assassination campaign pursued by the rebels at the behest of the Husseini leadership. ^ Horne, 2003, pp. 237–238. ^ Cohen, 2009, p. 198. ^ Cohen, 2009, p. 167. ^ a b c Swedenberg, 2003, p. 125. ^ Swedenberg, 2003, p. 139. ^ a b Horne, 2003 p. 228. ^ a b c Anglim, 2005, p. 9. ^ "PALESTINE: Oozlebarts and Cantor". 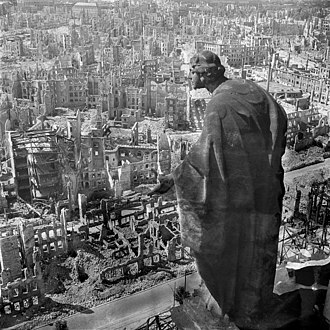 15 August 1938 – via www.time.com. ^ a b c d Horne, 2003, pp. 224, 238. ^ 'Situation in Brief: Official Reports', Palestine Post, Monday, 3 October 1938. ^ a b c Horne, 2003, pp. 224–226, 239. ^ Swedenburg, 2003, p. 88. ^ LeVine, 2012, p. 149. ^ LeVine, 2012, p. 153. ^ Swedenburg, 2003, p. 87. ^ Swedenburg, 2003, p. 30. ^ Frisch, 2008, p. 23. ^ Cohen, 2009, p. 152. ^ LeVine, 2012, p. 154. ^ a b c d Horne, 2003, pp. 224, 226, 228, 239–240. ^ Swedenburg, 2003, p. 121. ^ Fry, MacKereth & Rabinovich, 1985, p. 172. ^ a b c d Horne, 2003, pp. 225, 228–230. ^ a b Horne, 2003, pp. 225, 235, 238. ^ Jewish Spectator, 1937, Volume 3, p. 8. ^ Parsons, ed. Schayegh, 2015, p. 395. ^ a b c d Krämer, 2008, p. 295. ^ Segev, 2000, p. 388. ^ Shapira, 1999, p. 250. ^ Segev, 2000, p. 449. ^ Segev, 2000, p. 439; 459. ^ Segev, 2000, pp. 450–451. ^ Morris, 1999, p. 121. ^ Hillel Cohen (2008). Army of Shadows: Palestinian Collaboration with Zionism, 1917–1948. University of California Press. pp. 128–. ISBN 978-0-520-25221-9. the silencing of the opposition and humiliation of its leaders continued in the months that followed. 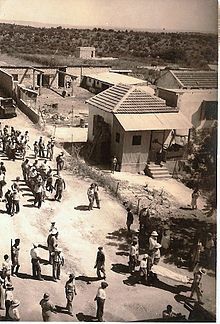 In July 1938 an armed squad appeared at the home of a family of Nashashibi supporters in the village of Beit Rima, ...Before they left, the gang offered an explanation for their behavior: The jihad, they said, was directed against any person who did not obey the mufti. In the passion of the moment, they revealed the militants' fundamental tenet: Their national struggle was a religious holy war, and the incarnation of both the Palestinian Arab nation and Islam was Hajj Amin al-Husseini. 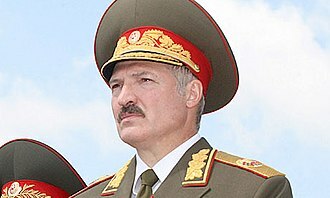 Anyone who rejected his leadership was a heretic and his life was forfeit. ^ Hillel Cohen (3 January 2008). Army of Shadows: Palestinian Collaboration with Zionism, 1917–1948. University of California Press. pp. 122–125. ISBN 978-0-520-93398-9. ^ Nashif, 2008, p. 24. ^ a b Benny Morris (25 May 2011). "chp. 4". Righteous Victims: A History of the Zionist-Arab Conflict, 1881–1998. Knopf Doubleday Publishing Group. p. 159. ISBN 978-0-307-78805-4. Capping it all, the Permanent Mandates Commission of the Council of the League of Nations rejected the White Paper as inconsistent with the terms of the Mandate. ^ a b c d Segev, 2000, pp. 436–441. ^ Segev, 2000, p. 443. ^ Segev, 2000, p. 442. ^ a b c d Swedenberg, 2003, pp. xxii, 13–15. ^ Segev, 2000, p. 433. Kelly, Matthew (2017). 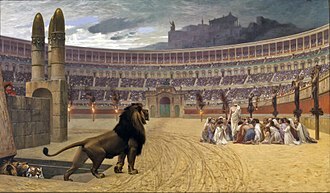 The Crime of Nationalism: Britain, Palestine, and Nation-Building on the Fringe of Empire. Oakland, California: University of California Press. ISBN 0-520-29149-2. Field Marshal Sir John Greer Dill, GCB, CMG, DSO was a senior British Army officer with service in both the First World War and the Second World War. From May 1940 to December 1941 he was the Chief of the Imperial General Staff, the head of the British Army. Born in Lurgan, County Armagh, Ireland in 1881, his father was the bank manager and his mother was a Greer from Woodville. Always intended for a career in the services, Dill attended the Methodist College Belfast, Cheltenham College, on 8 May 1901 he was commissioned as a second lieutenant into the 1st battalion the Leinster Regiment and was posted to South Africa to see out the Second Boer War. Dill was appointed adjutant on 15 August 1906, having previously been assistant adjutant from 1902. Promoted captain on 12 July 1911, he was seconded to study at the Staff College, Camberley from 1 February 1913 and he became brigade major of the 25th Brigade in France where he was present at Neuve Chapelle. By the end of the war he was a general and had been Mentioned in Despatches eight times. From the spring of 1918 he was Head of Operations at GHQ and he was appointed a Companion of the Order of St Michael and St George in the 1918 New Year Honours. After the war he gained a reputation as an army instructor. In the 1928 New Year Honours he was appointed a Companion of the Order of the Bath, alongside his other positions, he was appointed to the largely honorary role of Colonel of the East Lancashire Regiment on 24 December 1932, a position he held until his death. 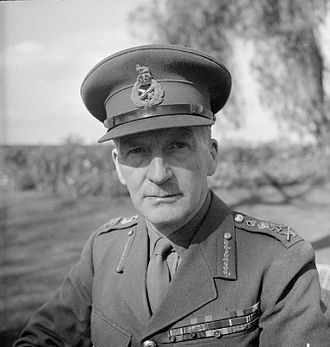 Dill was appointed Director of Military Operations and Intelligence in 1934 and General Officer Commanding British forces in Palestine on 8 September 1936 and he was promoted to general on 1 October 1939. 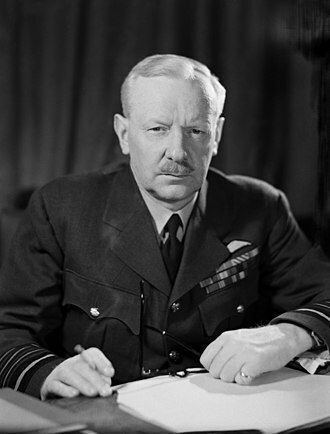 On returning to the UK in April 1940, Dill was appointed Vice Chief of the Imperial General Staff, under CIGS Sir Edmund Ironside, on 27 May 1940, after Chamberlain had been replaced by Churchill, Dill replaced Ironside as CIGS. Dill was promoted field marshal on 18 November 1941, but by time it was clear how poorly he. Muhammad Izzat Darwaza was a Palestinian politician and educator from Nablus. 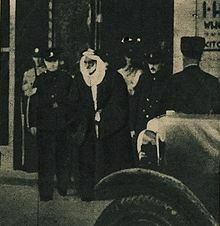 Early in his career, he worked as an Ottoman bureaucrat in Palestine, Darwaza had long been a sympathizer of Arab nationalism and became an activist of that cause following the Arab Revolt against the Ottoman Empire in 1916, joining the nationalist al-Fatat society. As such, he campaigned for the union of Greater Syria and vehemently opposed Zionism, Darwazas particular brand of Arab nationalism was influenced by Islam and his beliefs in Arab unity and the oneness of Arabic culture. Later, Darwaza co-founded the nationalist Istiqlal party in Palestine and was an organizer of anti-British demonstrations. 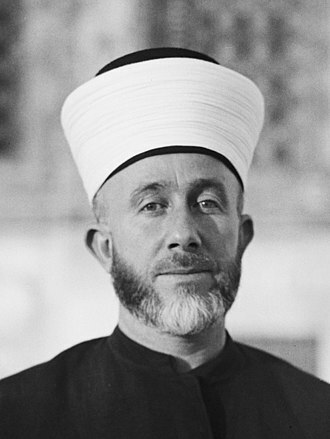 In 1937, he was exiled to Damascus as a result of his activities and he was incarcerated in Damascus by French authorities for his involvement in the revolt, and while in prison he began to study the Quran and its interpretations. In 1945, after he was released, Darwaza eventually compiled his own interpretation entitled al-Tafsir al-Hadith, in 1946, he joined the Arab Higher Committee led by Haj Amin al-Husseini, but resigned the next year after being disenfranchised by al-Husaynis methods. He left for Syria afterward and briefly aided in the unity talks between Syria and Egypt in the mid-1950s, by the time of his death in 1984, Darwaza had written over thirty books and published numerous articles on the Palestinian question, Arab history, and Islam. Darwaza was born to a middle-class Sunni Muslim mercantile family in Nablus, the Darwaza family had long been involved in textiles and had extensive trade relationships with merchants in Beirut and Damascus. In his memoirs, Izzat writes The import of goods from the outside was, for the most part, through Beirut, izzats father, Abd al-Hadi Darwaza and his paternal grandfather Darwish Darwaza, owned a store in the Khan al-Tujjar of Nablus. 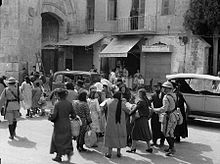 Izzat recalled, From what I remember from my father and through my grandfather, in Nablus, these shops were confined, or mostly confined, to a caravansary called Khan al-Tujjar, in the middle of Nablus. Izzat received elementary and preparatory education in Ottoman government-run schools in the city, in addition to Arabic, he learned Turkish and English, as well as a basic knowledge of French which he strengthened in by the end of his formal education. Darwaza left school without going to Istanbul or Beirut to finish his education as was the custom of his generation, instead, he educated himself, and according to Rashid Khalidi, became a self-taught intellectual. Originally, Darwaza supported the Ottoman Empire based on his feelings of identification with Islam, in 1906, he served in the local Ottoman administration as a clerk in the Department of Telegraphic and Postal Services in Nablus. His first assignment in that department was for the District of Beisan and his loyalty to the Ottomans eroded, due to the impact of the new governmentss Turkification policies which he viewed as repressive against his ideals. Because of his dissatisfaction with the Young Turks, Darwaza was driven to support Arab independence from the empire, in 1908, he joined the Committee of Union and Progress, but withdrew soon after because of its Turkish nationalist political agenda. He played a role in establishing a branch for the Party of Harmony. 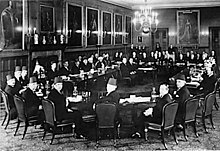 The party was founded in Istanbul and joined by Arab members to counter the policies of the CUP, in June 1913, he helped to prepare and became secretary of the First Palestinian Congress in Paris. The Special Night Squads were a joint British-Jewish counter-insurgency unit, established by Captain Orde Wingate in Mandatory Palestine in 1938, during the 1936-1939 Arab revolt. The SNS basically comprised British infantry soldiers, together with men drawn from the Jewish Supernumerary Police. Wingate selected his men personally, among them Yigal Allon and Moshe Dayan, Wingate collaborated with the Jewish paramilitary formation, the Haganah, reinforcing his unit with some of Haganahs Fosh commandos. Given British opposition to the creation of Jewish military units. 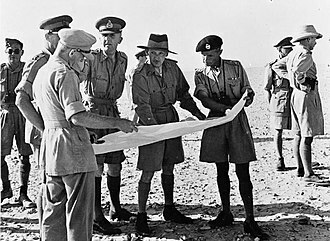 Wingate, an officer of the British armys General Headquarters in Jerusalem, examined sabotage. However, the Jewish Agency had opposed this venture at first, the new British GOC, Lieutenant-General Robert Haining, had approved Wingates proposal to establish a Night Movement Group, and the SNS became operative on early June,1938. 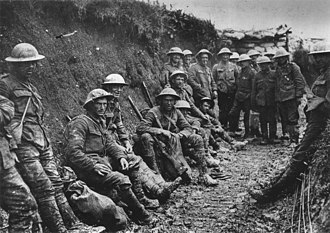 The British 16th Brigade, under Brigadier John Fullerton Evetts, supplied three twelve-man squads including officers, to the new unit, the men were taken from the Royal Ulster Rifles, the Royal West Kent Regiment and the Manchester Regiment. 25 Jews were assigned to the unit as supernumerary policemen, all of them Haganah members, the Jews were selected by Haganah regional commanders and by Yitzhak Sadeh, commander of the FOSH units in the Haganah. Later,50 more Jews were assigned to the SNS, from Haganah cadres, the success of the SNS caused the establishment of a fourth SNS-like unit in the Plain of Sharon, tasked with guarding the electric power line. During 1939 every British brigade in Palestine established its own Special Night Squads, Wingate left the SNS on October 1938, for a leave in England. 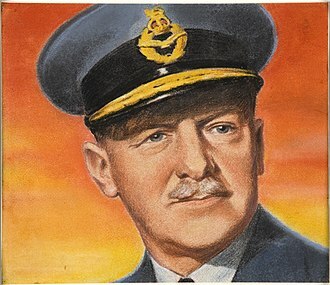 This was frowned upon by Wingates commanders, who dismissed him from command of the SNS, bredin replaced Wingate as commander of the SNS, until it was disbanded. The SNS continued to operate in the form until January 1939 when, due to British policy change. Thereafter, the Jewish SNS served mainly on prison guard and garrison duties and they were disbanded during September 1939. The British eventually considered Wingate to be a security risk and he was posted out of the country and his passport was stamped NOT ALLOWED TO ENTER PALESTINE. The Irgun was a Zionist paramilitary organization that operated in Mandate Palestine between 1931 and 1948. It was an offshoot of the older and larger Jewish paramilitary organization Haganah, when the group broke from the Haganah it became known as the Haganah Bet, or alternatively as haHaganah haLeumit or Hamaamad. Irgun members were absorbed into the Israel Defense Forces at the start of the 1948 Arab–Israeli war, the Irgun is referred to as Etzel, an acronym of the Hebrew initials, or by the abbreviation IZL. The Irgun policy was based on what was called Revisionist Zionism founded by Zeev Jabotinsky, the Irgun has been viewed as a terrorist organization or organization which carried out terrorist acts. Irguns tactics appealed to many Jews who believed that any action taken in the cause of the creation of a Jewish state was justified, the Irgun was a political predecessor to Israels right-wing Herut party, which led to todays Likud party. Likud has led or been part of most Israeli governments since 1977, members of the Irgun came mostly from Betar and from the Revisionist Party both in Palestine and abroad. The Revisionist Movement made up a backing for the underground organization. Zeev Jabotinsky, founder of Revisionist Zionism, commanded the organization until he died in 1940 and he formulated the general realm of operation, regarding Restraint and the end thereof, and was the inspiration for the organization overall. An additional major source of inspiration was the poetry of Uri Zvi Greenberg. The number of members of the Irgun varied from a few hundred to a few thousand, most of its members were people who joined the organizations command, under which they carried out various operations and filled positions, largely in opposition to British law. Most of them were people, who held regular jobs. Therefore, the Irgun tended to ignore the decisions made by the Zionist leadership, the Irgun put out numerous advertisements, an underground newspaper and even ran the first independent Hebrew radio station – Kol Zion HaLochemet. As members of an armed organization, Irgun personnel did not normally call Irgun by its name. General Sir Arthur Grenfell Wauchope GCB GCMG CIE DSO was a British soldier and colonial administrator. Educated at Repton School, Wauchope was commissioned into the Argyll and he transferred to the 2 Battalion Black Watch in January 1896, was promoted to lieutenant on 3 August 1898, and to captain on 30 October 1901. 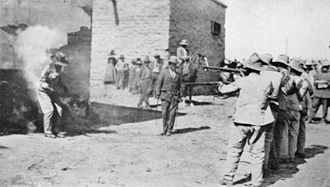 He served in the Second Boer War in South Africa from 1899, British forces advancing north from the Cape to relieve the town of Kimberley, which was sieged by Boer forces, met heavy resistance in the Battle of Magersfontein on 11 December 1899. 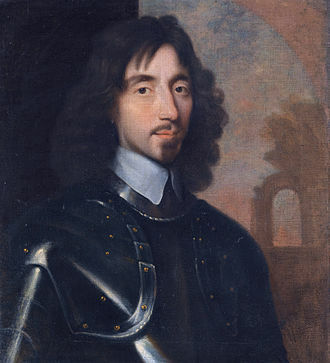 Wauchope was severely wounded in the battle, and was mentioned in despatches. In April 1902 he was seconded for a Staff appointment, as an extra Aide de camp to Sir Walter Hely-Hutchinson, Governor and he served in World War I as Commanding Officer of 2 Bn Black Watch in France and Mesopotamia. After the War he joined 2nd Silesian Brigade, part of the British Upper Silesian Force and he became Military Member of an Overseas Delegation to Australia and New Zealand in 1923 and Chief of the British Section of the Military Inter-Allied Commission of Control for Berlin in 1924. 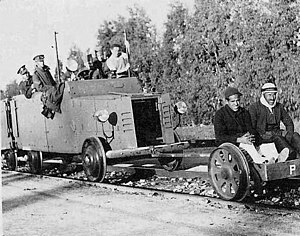 The Jewish Settlement Police were a division of the Notrim established in Mandatory Palestine in 1936, during the 1936-39 Arab revolt. At the end of 1940, the JSP had about 15,000 members, a field army based on the force was estimated to be 16,000 men and women strong in 1946. According to a statement made by the Palestine Government in June 1947 and referenced by the United Nations Palestine Commission, in early 1948 the force was about 2,000 strong. The Settlement Police cooperated with the British to form a joint British-Jewish unit known as the Special Night Squads and these were commanded by a fervent Christian Zionist British officer called Charles Orde Wingate, who was posted to Palestine in 1936. The Special Night Squads fought Arab guerrillas who attacked the Iraqi Petroleum Company pipeline, the Haganah used the force as a Training Centre and put as many of its members through the JSP as possible,13,455 between its formation and the end of 1945. 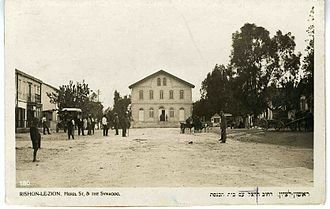 The British authorities provided special uniforms, light trucks and some guns and allowed the force to control sections of land around Jewish villages. Sir Harold Alfred MacMichael GCMG DSO, was a British colonial administrator. Educated at Bedford School, MacMichael graduated with a first from Magdalene College, after passing his civil service exam, he entered the service of the British Empire in the Anglo-Egyptian Sudan. He served in the Blue Nile province until 1915 when he became an inspector of Khartoum province. In 1933 he became Governor of Tanganyika until 1937, the next year he became High Commissioner of the British Mandate of Palestine and was blamed for sending at least 768 Jewish refugees aboard MV Struma to their deaths. Seven unsuccessful attempts, mainly by Lehi, were undertaken to assassinate him during his sojourn in Palestine, in the last, both he and his wife narrowly escaped death in an ambush Lehi mounted on 8 August 1944 on the eve of his replacement as High Commissioner. MacMichael served a stint as High Commissioner of Malta, MacMichael made several visits to the Malay rulers, beginning with Sultan Ibrahim of Johor in October 1945. 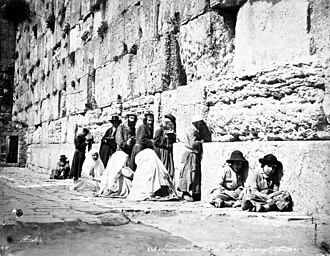 Zionist leaders and advocates followed conditions in the land of Israel closely and travelled there regularly. Their concern, was entirely with the future of Jewish settlement, the future of the lands Arab inhabitants concerned them as little as the welfare of the Jews concerned Arab leaders. The powers that freed them have surely the right to ask not to grudge the petty strip necessary for the renaissance of a still more down-trodden people. Thus from the beginning Zionists saw the Arab residents of Palestine as part of a larger Arab nation, since the Jews were further developed they would take the lead in the development of the country and the Arabs would subject themselves to Jewish cultural influence and assimilate. Borochov said that the Arabs were a people akin to us in blood and spirit, according to Shapira, this approach was part of a campaign of self-persuasion that the Arabs would not threaten the realisation of Zionist aims. According to Jonah Frankel, the immigrants of the Second Aliyah had a strong secular, the attitude towards the Arabs took many forms, however. On one pole there were those like Yitshak Epstein and Rabi Binyamin, Epstein advocated settlement only in areas unworked by the Arabs. Rabi Binyamin held that modern education, full equality and modernisation would bring the Arabs to accept massive Jewish immigration, on the other pole there were those who assumed that in order to reach their goal the Zionists would have to defeat violent Arab resistance. Brenner wrote There is now, there is bound to be, blood and soil mythology was often a theme for them. Silman wrote, We shed our blood and we live here and our life is the continuation of the past and so too is the spilt blood. According to Frankel, this kind of mythology was an important part of the Second aliyahs political legacy, in response to Arab attacks under the Turks, the Zionists in Palestine established Hashomer, a self-defence organisation. Under the Ottomans, Palestines Arab population mostly saw themselves as Ottoman subjects, in 1856, the Ottomans issued the Hatt-i Humayun, guaranteeing equal rights for all Ottoman subjects. Wanted Poster of the Palestine Police Force offering rewards for the capture of Stern Gang members: Jaacov Levstein (Eliav); Yitzhak Yezernitzky (Shamir); and Natan Friedman-Yelin. Wavell (right) meets Lt. General Quinan, commander of British and Indian Army forces in Iraq in April 1941. A "ghaffir" (special policeman), of corporal rank, 1942, and a Ghaffir cap badge. Members of the Special Night Squads. Members of the Special Night Squads, possibly in Kfar Tavor. Members of the Jewish Supernumerary Police, 1937.